Issue 5.2 is now available online! 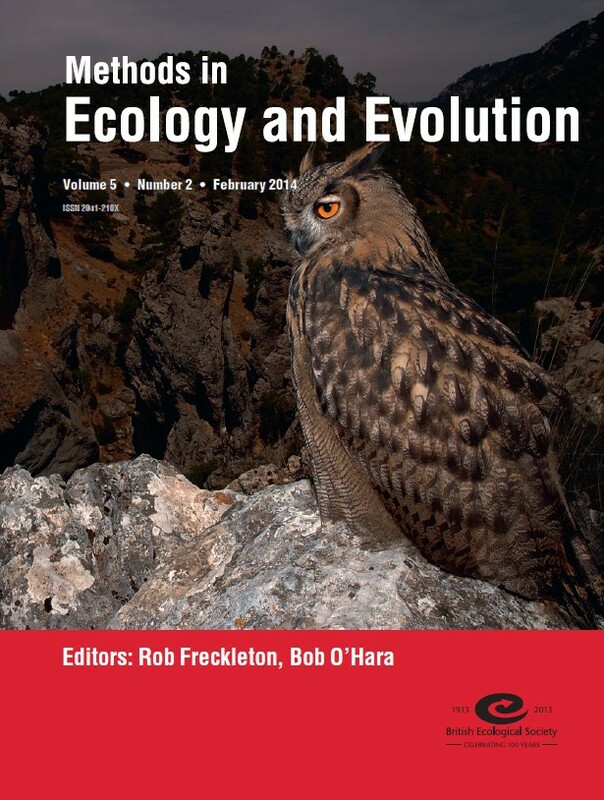 This month we have papers on equipment, physiology, decomposition, community ecology and movement. There are 2 open access articles included: Simplifying data acquisition in plant canopies- Measurements of leaf angles with a cell phone by Adrián G. Escribano-Rocafort et al., and Personal messages reduce vandalism and theft of unattended scientific equipment by Markus Clarin et al. The Max Plank Institute for Ornithology published a press release, Hands off – please!, about Markus’s paper, which came to the interesting conclusion that leaving friendly information signs on scientific equipment in the field can actually reduce the incidence of vandalism. About the cover: Besides the surging interest in social behaviour, the influence of conspecifics on movement behavior is still an area in which the development of well-established statistical methods lags behind empirical studies. In ‘A Statistical Framework for Inferring the Influence of Conspecifics on Movement Behaviour‘, the authors developed a method for studying whether and how the presence of conspecifics potentially influences the movements of individuals. This image shows a juvenile eagle owl (Bubo bubo), the biological model used to illustrate the applicability of the framework. Unlike much of the earlier work on collective movement behaviour, this approach is not based on specific assumptions about the underlying mechanisms, but is purely statistical. The great advantage of this approach is its generality: it can be applied to almost any movement data on interacting entities, from organelles within cells to GPS tracking data on large animals. Photo © Vincenzo Penteriani.